This is a European panel with a planed finish. The finished size of this panel is Metric not Imperial. 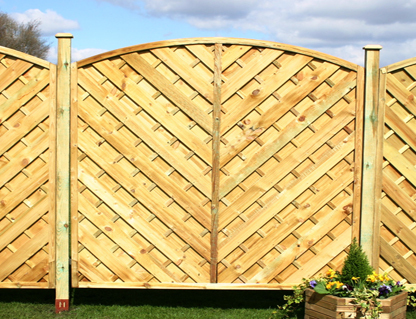 This panel is ideal for people that want a bit more Style in the garden than a standard panel provides. All Sandford Panels are domed.